Dating apps are making this even more accessible and convenient. As the number of people wanting to find a partner for a fling or serious relationship is only growing, it causes new apps to appear. Today, there are many platforms to facilitate any romantic impulses. In order to navigate you in the apps pool, we offer you a list of new services that are aimed at finding your ideal match based on your individual expectations. There are two main issues associated with meeting people online: silence (typical women dating reaction) and annoying perseverance (typical of men). Guys behind Bumble decided to make it women-friendly, giving women the right to decide whether to initiate a conversation or not. It goes like this: he and she swipe right, they automatically appear in each other’s lists of connections. After that, she has 24 hours to make the first move. If she keeps silent, he disappears from her list. However, he can take additional 24 hours if he thinks they are meant to be. The app is for the women who want to be in control of their acquaintances. This app was created with your precious time in mind. Very often, online mates get stuck online for a long time turning into pen-pals. 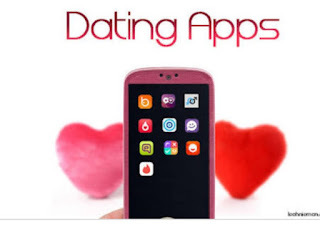 The idea behind the dating sites and apps is to let two people find each other online and then transfer their relationship to the real world. Now facilitates quick transitions to real-life meetings. It’s for those people who have a few hours and want to find someone who is free at this time too and wants to kill it on a date. Everything is simple: you indicate when you are available and search for other available users; you arrange your meeting, set the time frames, and go out. That’s how it works. This app is the most visual one. Its motto is “Create, play, date!” and here is why. Clikd won’t find you your matches – it’s you who test your potential mates and decide whether you are compatible. What distinguishes this app from other services is that designing your profile, you upload 3 most important (for you) questions each having two possible answers. The answers are not words, but meaningful photos. If someone passes your test (gets at least 2 right answers out of 3), you’ll be notified and offered to pass their test. If you pass their test, it means you share a lot in common and can start communication. Happn is for those who believe that they may go the same routes with their match without noticing each other. The app uses your location to keep track of where you go and which places you visit. It gathers the same data from other users and shows you those people who go to the same cafes or walk the same roads as you. If you like someone from the list, you “like” them, and if it’s mutual, you can send a “charm” to express your interest. The app will work for you only if many people in your area are registered there. Although this app is available only in New York, it’s worth your attention due to the idea behind it. It’s geared toward the people who share a similar outlook on fitness. You don’t have to chat up people at the gym – Sweatt is the right place to do that. The app’s matching filters are based on the users’ answers to the questions about their lifestyles, fitness regimens, and types of workout. As a result, two people with similar mindsets are introduced to each other.